Expanded Coaching Roster, Including 30 Olympians & 9 Sochi Medallists! 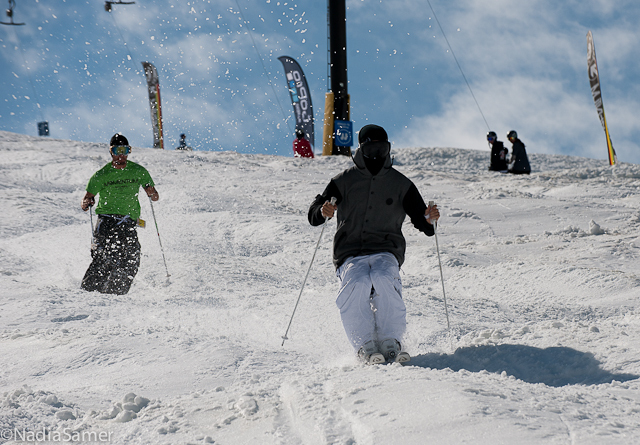 Get ready to boost your skiing skills and be inspired! With over 60 of the world’s top park, pipe and bump skiers signed up to coach this summer, including a record nine Olympic medalists from 2014, you will have an amazing mix of inspirational coaches and mentors. Our coaches don’t just ski the lane, they actively work with you in small groups all day to give you the best coaching and feedback possible. Every day you change coaches so you get to ski with at least 6 coaches per week. Most of our coaches stay in the hotel and will be doing activities and dinning with you every evening. And that’s not all….. you also get additional one-on-one video review with your coach each evening to really give you the feedback you need to improve the next day. It’s official – for the 2nd year in a row, Momentum will have the largest and most diverse terrain park on the glacier with 6 lanes that will be merged together this year to create one massive fun park. The park is now better than ever! Five lanes of Park and 1 lane of Bumps with two giant airbags, an expanded rail park with two new features from GoPro and Giro, multiple jump lines with a progression of jumps from beginner to our famous 80′ step up, a new spine to airbag jump, a world class mogul course, absorption tank and more… Finally, our private T-Bar with the smallest lift lines, offers the fastest lap times – which means, more skiing, more improvement and more fun! UPDATE May 22, 2014: We will be expanding our mogul footprint and relocating our space to the middle of the glacier this summer. Our lane will now be 1 1/2 lanes wide (50% wider) with 1/2 lane dedicated to moguls only (no tables) and the other full lane moguls with two tables and jumps built to spec. This lane is much longer so we will have a large coaching table at the bottom with a learn to flip jump site on this deck and a double wide absorption tank to follow. Overall it will be our best training set up. 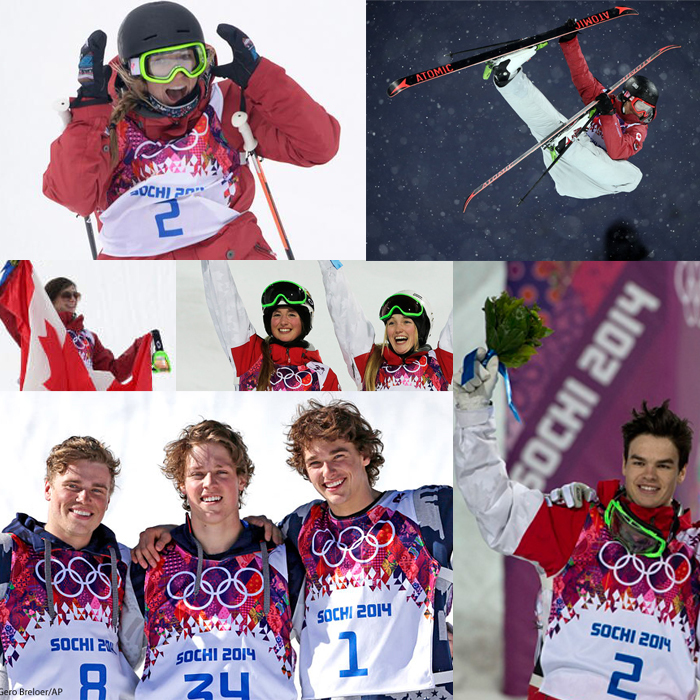 Momentum has amazing mogul coaches in every session, but this year we are excited to announce that Canada’s top World Cup and Olympic skiers will be joining us during Session 2, prior to their own training camp on the glacier. 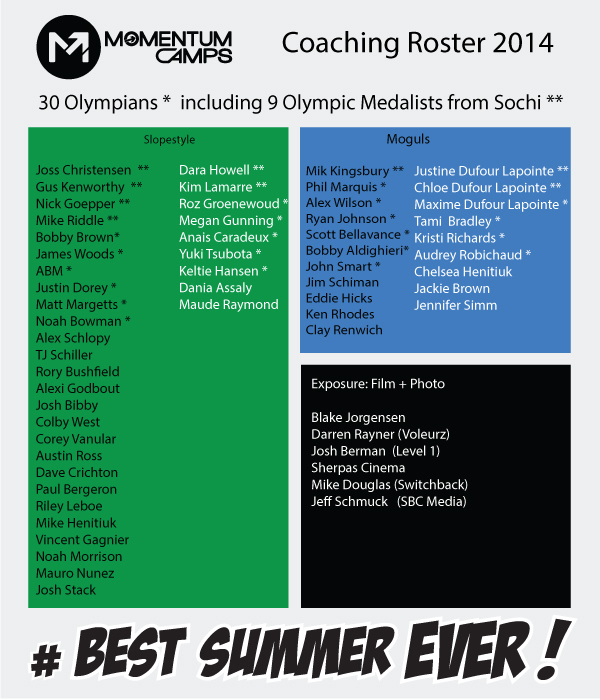 Join Olympic medalists Mik Kingsbury (Silver), and the Dufour Lapointe sisters Justine (Gold) and Chloe (Silver), as well as Olympians Maxime Dufour Lapointe, Phil Marquis, Audrey Robichaud and Tami Bradley, for a week of inspired mogul mentorship guaranteed to take you to a new level. New this year – Olympic medalists Dara Howell (Gold) and Kim Lamarre (Bronze) along with Yuki Tsubota and Keltie Hansen are joining our experienced crew, which includes Olympians Roz Groenewoud and Anais Caradeux, as well as Dania Assaly and Megan Gunning. On the Mogul side Olympians Tami Bradley, Kristi Richards, Audrey Robichaud join World Cup skiers Chelsea Heniutuk and Jackie Brown. Girls Week runs alongside our regular youth camp. Want to shoot the best skiers in the world, learn from top action sports filmers and photographers, get tips from industry insiders? 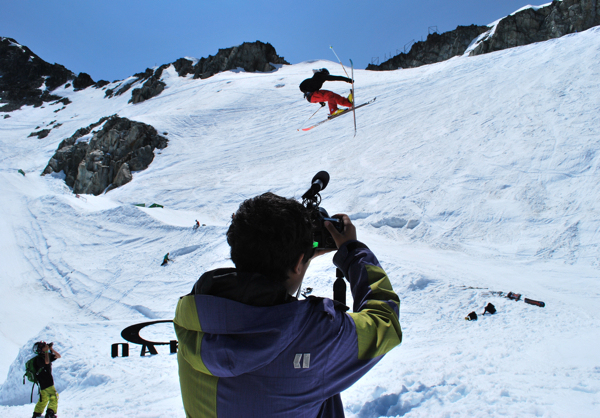 Exposure offers a 7 day camp full of action sports shoots and workshops, with one-on-one technical and creative input and inspiration. Skiing, mountain biking, skateboarding, motorcross are just some of the action packed shoots we will set up for you, as well as a truly one-of-a-kind sunset/night shoot on top of the glacier. 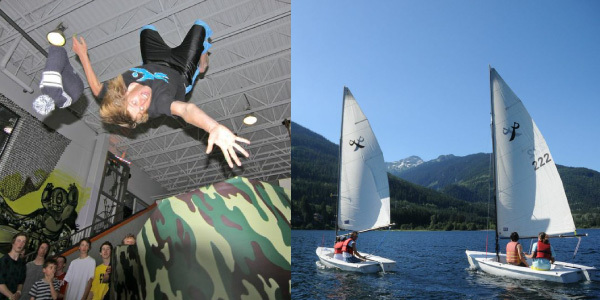 Whistler’s Amazing Activities…Boredom is not an option!! 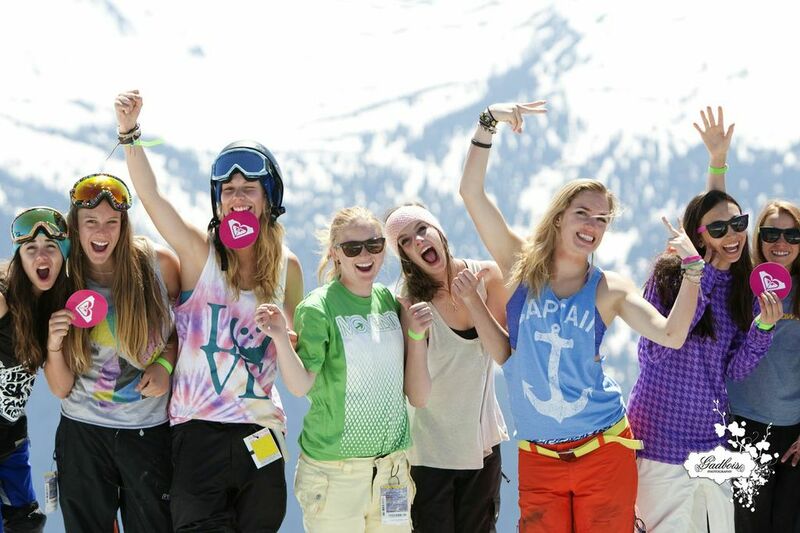 Camp is about skiing first, but we also want you to make the most of your precious time in Whistler and stretch out your days with a huge choice of late afternoon activities… mountain biking, paintball, trampolining, waterramping, sailing, supping, golf, climbing, skatepark, soccer, frisbee golf, and more. Our camp trampoline stays open every evening. Which simply means more free stuff for you! Everyone walks with at least one prize from our hot list of sponsors and we are stoked to now add Lululemon and Zumwax to this list that includes: Salomon, GoPro, Giro, Oakley, The North Face, Quicksilver, Roxy, Skullcandy, Dakine, Discrete, Kinesys, Cliffbar, Newschoolers, Freeskier, SBC Skier, Whistler-Blackcomb.